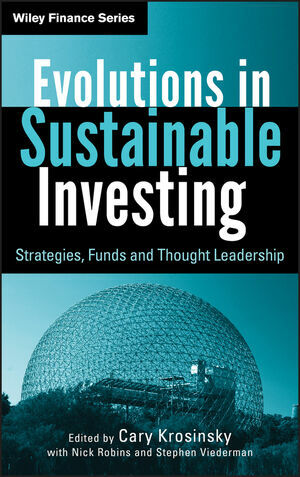 CARY KROSINSKY is coeditor of a previous book on this subjectSustainable Investing: the Art of Long-Term Performance, also with Nick Robins. Cary is a Senior Vice President and member of the management team for Trucost, which has become the recognized global leader in corporate environmental data and analysis, including advising the respected Newsweek Green Rankings. He also teaches sustainability and investing at Columbia University's Earth Institute and an MBA course on the same subject at the University of Maryland's Robert H. Smith School of Business, and is also a frequent speaker on the intersection of sustainability and ownership. He was a member of the expert group that helped create the United Nations Principles for Responsible Investment.